On July 25th, 2006, Company C of the Golani Brigade's 51st Battalion entered the Shiite town of Bint Jibeil in Lebanon. In biblical times Bint Jibeil was the city of En Hazor where the Tribe of Naphtali had once dwelled, before the Assyrians drove them out into captivity. The Jewish residents were gone, and when the Assyrians had passed on, it became Phoenician and then Greek, to be renamed Daughter of Byblos or in the Arabic of its final conquerors, Bint Jibeil. In the present day, Bint Jibeil was known as the Capital of Hezbollah. The majority of its Christian residents had long ago departed. What remained was a terrorist nest from which Iran's Lebanese proxy armies plotted and staged attacks against Israel. As Company C and its deputy commander, Major Roi Klein, advanced into Bint Jibeil, he sensed an ambush. He had made repeated requests for air support and asked for permission to stage a direct assault on the town. Permission was denied on the grounds that Bint Jibeil had a large civilian population, and civilian casualties, even of Hizbollah supporters, were more important than the lives of IDF soldiers. Instead Company C was ordered to advanced into the ambush. The terrorists who were waiting inside civilian residences and dressed in civilian clothing, attacked from the upper story of one the houses. A grenade was thrown. Major Roi Klein uttered the final prayer of "Shema Yisrael" expressing his faith in G-d, and fell on the grenade, protecting his unit with his own life. 10 members of C Company died that day in Bint Jibeil, including Major Roi Klein, because the Israeli government placed a higher value on the lives of terrorist supporters, than on the lives of their own men. The dying Klein expressed his bitterness at this government policy. And he was not the only one. The father of Corporal Ohad Klausner, who also died that day in Bint Jibeil blamed the Israeli government for trying to transform the IDF from a force dedicated to fighting enemy states and terrorists, to armed police focused on expelling the Jewish residents of the Judea, Samaria and Gaza, in order to appease the international community and pave the way for a Palestinian state. "My son had not been trained to fight terrorists," Klausner's father said. "He had been trained to expel Jews." Captain Amichai Merhavya was one of those settlers that the IDF had been repurposed to fight. He had personally attended a protest against the forcible expulsion of Gilad Farm. There he was beaten unconscious by the forces sent out by the government's new priority of dealing with "settler extremists", rather than with Islamic terrorists. In the army, Amichai was temporarily suspended from his unit for writing a letter to the Chief of Staff objecting to the use of the army to expel Jewish residents of Gaza, Judea and Samaria from their homes. He died at Bint Jibeil along with 10 other men who didn't have to die. And Major Roi Klein himself, who died at Bint Jibeil, who posthumously received Israel's second highest medal, the Medal of Valor, and had two schools named after him... was a settler too. The previous government rejected a monument to Major Roi Klein in his hometown of Eli, because it is considered a settlement. A Knesset bill to modify that refusal was also defeated. And the Israeli and American left which viewed him as an extremist and a subhuman monster in life, were determined not to leave him alone even in death. And so the expulsions are set to continue. And the residents now set to be expelled from their homes include his widow, Sara, and Gilad and Yoav, the children of Major Roi Klein, whose own expulsion order has now been signed by the left wing judicial activists of the Israeli Supreme Court. At the behest of a petition filed by the Anti-Israel Pro-Terrorist "Peace Now" organization, their home is to be demolished, and the widow and children of one of the greatest heroes of the Second Lebanon War are to be left homeless. Peace Now, like Obama, is dedicated to the ethnic cleansing of Jews. They are part of a movement that views Zionism as evil, patriotism as despicable and Jewish towns in Judea and Samaria as a cancer to be wiped out. Amos Oz, a founder of Peace Now, and a noted left wing writer, shrieked at a Peace Now rally, that the Jewish residents of these towns are "a messianic junta, insular and cruel, a bunch of armed gangsters, criminals against humanity, sadists, pogromists and murderers." Another founder of Peace Now, Yigal Tumarkin wrote, "My true contribution would be if I grabbed a sub-machine-gun, instead of a pen and pencil and killed them." This seemed appropriate enough as Tumarkin's father and uncle had both in their time, put down pen and pencil, to grab a sub-machine gun and kill Jews as members of the Nazi SS. With his name changed from Peter Heinrich Hellberg, Yigal Tumarkin became famous in Israel as an artist creating works that included an upside down triangle as a Holocaust memorial and a pig engaged in Jewish prayers while wearing Tefilin. The sort of work that would truly have done his uncle proud. Naturally in 2004 he was awarded the Israel Prize. 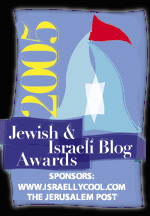 When Israel's Parliament attempted to rescind the award, the same Supreme Court which ruled for the expulsion of Major Roi Klein's family, ruled that Tumarkin should get the prize. As one of Peace Now's founders, Yigal Tumarkin exemplifies the ugly antisemitic face of Israel's left, and its drive to ethnically cleanse the Jewish communities of Judea and Samaria, to make way for a terrorist Palestinian state. The hate of organizations such as Peace Now, is a visceral hatred for anything and everything Jewish and the obsessive need to stamp it out. A hatred that is fundamentally Nazi in nature. And had KKK member Micky Louis Mayon enlisted in Peace Now, and cloaked his hatred of Jews, as pro-terrorist activism, instead of being deported he would no doubt have received the Israel Prize too. As Tumarkin, or rather Hellberg, himself said, "When I see the black-coated Orthodox Jews with the children they spawn, I can understand the Holocaust." Peace Now's war against the family of Major Roi Klein, against the Jewish residents of Judea and Samaria, and against Israel itself can only be seen in that light. A mini-Holocaust to make way for a much larger Holocaust. The Two State Solution for the Final Solution that Tumarkin's father and uncle failed to fully implement. But it is the Israeli government itself that has allowed the combination of the international community, the left wing radicals of Peace Now to compromise their values and the safety and security of all Israelis. It has placed the lives, families and homes of Israelis beneath those of Arab Muslim terrorists and terrorist supporters. Major Roi Klein and 9 soldiers died, because the IDF had become so politically twisted that it was too afraid of launching a frontal assault on a terrorist stronghold, lest there be civilian casualties. So the assault was not launched. Instead Company C walked into an ambush. As a result the Battle of Bint Jibeil raged for 3 days, instead of being over in a day. The Israeli advance slowed down dangerously and the war began to seem like a quagmire. Israel was forced to pull out without accomplishing its objectives. Hizbollah used that to claim victory and boost its morale, and obtain more funding and weapons for a future attack against Israel. 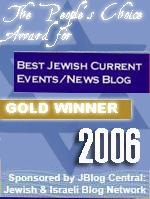 Israelis lost faith in the ability of their military to achieve victory against terrorism. Hizbollah meanwhile learned that hiding behind civilians works. That using human shields is the best way to achieve victory. That Israel will send its soldiers to die, rather than risk the deaths of enemy civilians. In any future conflict with Hizbollah, even more enemy civilians will be placed at risk by being used as human shields-- precisely because Israel's refusal to launch a frontal assault demonstrated the strategic worth of using human shields. Finally despite all of Israel's great efforts to avoid civilian casualties, efforts that Richard Kemp, the former commander of British forces in Afghanistan labeled as going beyond and above that of any military-- there were still inevitably civilian casualties in the Battle of Bint Jibeil. Israel sacrificed 10 men and lost the war-- only to nevertheless be condemned by human rights groups because 4 enemy civilians had nevertheless died in the fighting. As a result Israel lost the war and lost 10 men to prevent the inevitable, the deaths of enemy civilians in a war in which terrorists hide behind their own civilians. All to appease the unappeasable demands of the left and the international community. All for nothing. Now Israel will demolish the home of Major Roi Klein's widow and his children, for those same unappeasable demands. Yet the homes of many terrorists still stand, and when Israel does demolish the home of a terrorist, organizations like Peace Now and Human Rights Watch, both backed by George Soros (who unlike Tumarkin actually was around in time to do his part to help the original Nazis), cry out "Don't demolish terrorist homes, demolish Jewish homes." And so Israel is complying, and Major Roi Klein, even in death, will once again be forced to pay the price for the cowardice and treachery of Israel's left and the international left. That is the final result of valuing your enemies above your people, a situation not unique to Israel, and now commonplace in the First World. Too ugly to see these enemies right inside Israel also. If your posts made it into the mainstream Israeli media, it would have an impact. But, instead, we are fed a daily diet of BS & the majority of Israelis remain more or less brain-dead. Every time I see his beautiful smile, my heart breaks. He is the embodiment of Israel as it should be, a soldier of David with the Torah in one hand and the weapon inthe other. His memory will shine forever. Sultan did you see the petition in Hebrew that beggs the government to let his poor wife and children keep their home slated for destruction? There is REAL Hilul Ha Shem going in our country. Sultan, I know this is not a recent post, but I had to say how, despite having lived in Israel all my life, such stories never reached my ears. And I believe I'm not the only Israeli who would be outraged by the truth. Some truly hate Jews more than anything else (as one woman once confessed to me - she considers herself a leftist because she hates Haredim more than she hates Arabs), but others are simply kept in the dark - like a mass of sheep, living in the ghetto, unaware of those who are sent to die by the Judenrat, and hoping for a better tomorrow. A tomorrow that will never come, if they will not fight to change the present. Yes, Jews may differ on many things, and may act like idiotic children, arguing on petty issues, but this is too far. The media is extremely biased, but people know a lot of things that aren't discussed. The left is mad and insane.